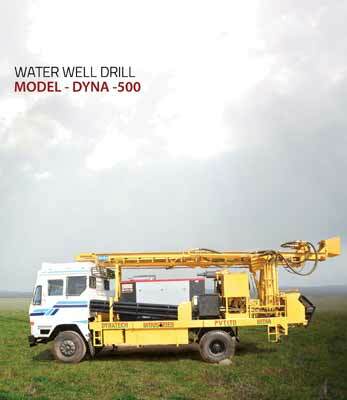 Our Dynatech Dyna500 drill rig is a compact, manoeuvrable truck mounted drill rig for water well drilling with large volume, high pressure air compressor. Rig use power from truck engine through transfer gear box to ensure better performance. 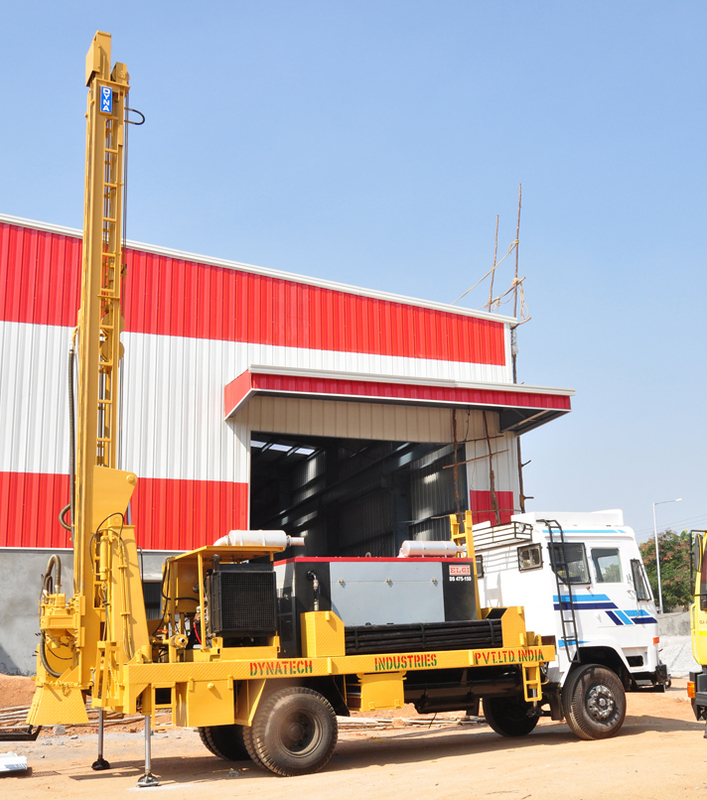 The rig has a heavy structure with excellent rod handling capacity. The pull-up and pull-down functions are performed by means of hydraulic cylinder and wire rope. Other attachments like welding machine, mud pump, diesel filling pump, and Deck engine for powering of hydraulics are available as option. Separate drill rig sub frame design permits stable mounting on standard trucks, the Schramm tracked drill carrier and trailers. Mounting on various other trucks, rugged top head drive rotation and efficient pipe handling mean high productivity on the job site, more time spent drilling. The Dyna500 is ideally suited for drilling water wells, monitoring wells, blast holes, geothermal bores and mineral exploration with down-the-hole hammer and mud rotary techniques.